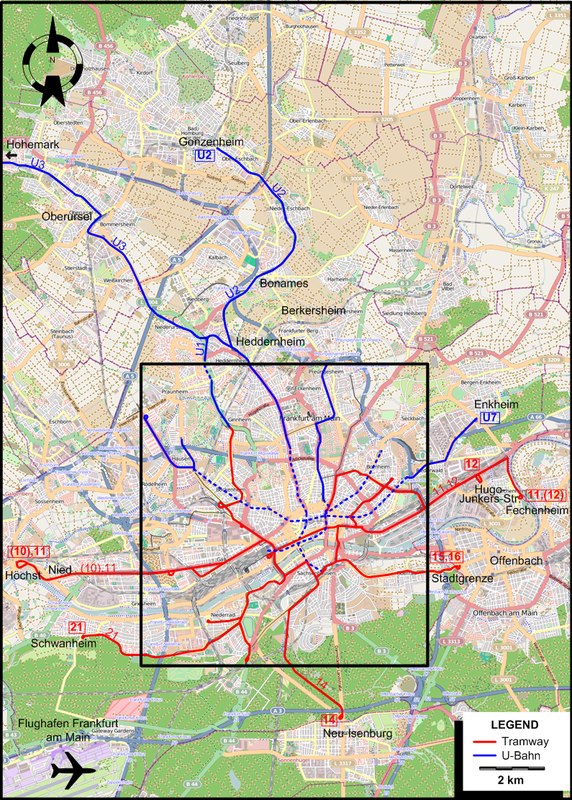 Frankfurt after considerable reduction in its tram network. City trams: Horse trams (19 May 1872 - 1904); Steam trams (1888 - 1929); Electric trams (10 Apr. 1884 - today). U-Bahn: Oct. 1968 - today. The Verkehrsmuseum Frankfurt am Main (Frankfurt Transport Museum) has a large collection of preserved trams from throughout the history of the city's transportation history. Some of them run as heritage trams on city streets. Buck, S.D. "Frankfurt-am-Main: The revolution begins". Tramways & Urban Transit, Jan. 2004 (67: 793), p.16-18. 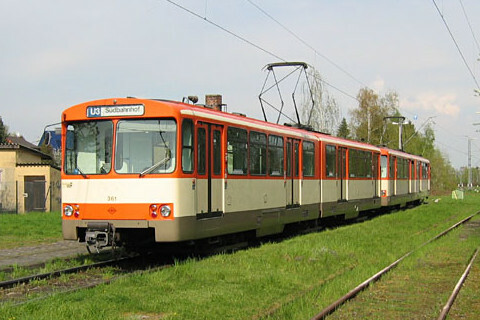 Pulling, N. "Systems Factfile No.18: Frankfurt am Main, Germany", Tramways & Urban Transit, March 2009 (72: 855), p.99-101. Walker, P.J. 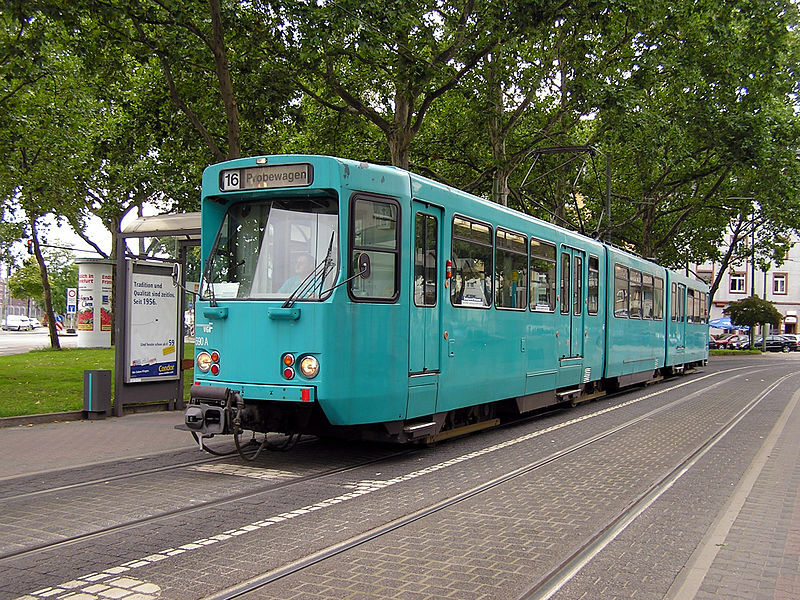 "Tramways in transition - Part 2: Frankfurt-am-Main". Modern Tramway, Nov. 1969 (32: 383), p.367-374. Wansbeek, C.J. 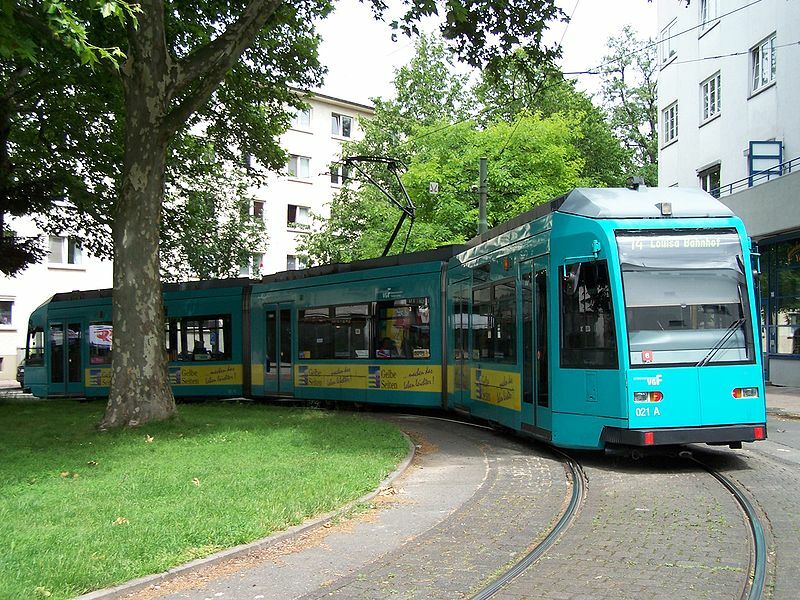 "Frankfurt: The pendulum swings back to tramways". Light Rail & Modern Tramway, Nov. 1997 (60: 719), p.416-418. Wyse, W.J. 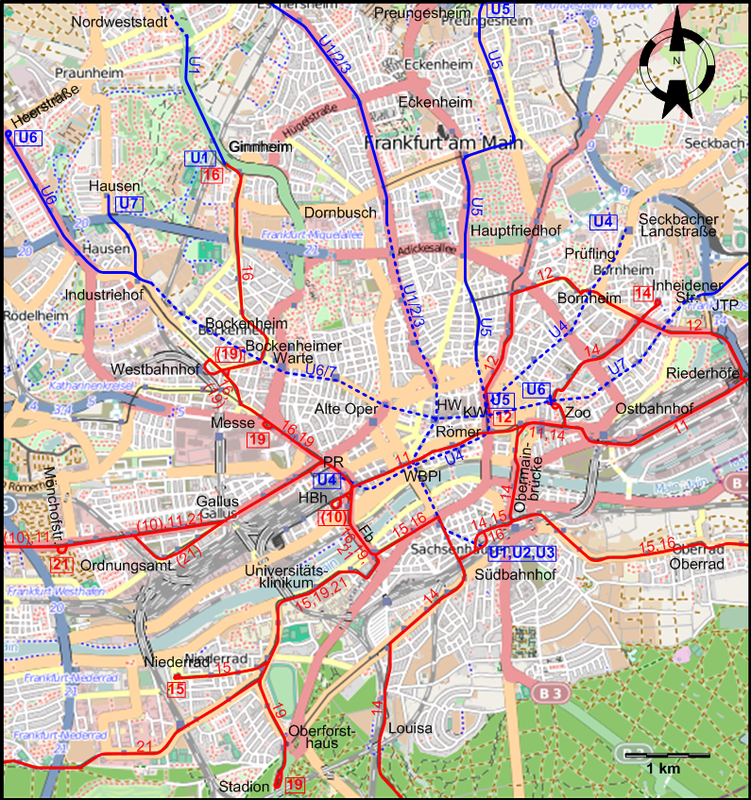 "Germany goes underground - Part 6: Fun and games in Frankfurt, or 'Interconnection with one-way tickets'". Modern Tramway, Aug. 1974 (37: 440), p.270-279. Wyse, W.J. "Germany goes underground - Part 12: Alles neu in der City". Modern Tramway, Sept. 1978 (41: 489), p.309-317.